An affordable call center software solution can help small restaurants increase their business and enhance customer relationships. managing customers’ feedback with the help of call center software. What’s on the menu for restaurants in the next year? Rising food and labor costs, increasing competition, and less-than-robust growth, for starters. A recent forecast from Technomic predicts three percent sales growth among U.S. restaurants in 2014 and 2015, which translates to a slight decrease of four percent with inflation factored in. Some restaurants are thriving, of course, especially in foodie havens such as New York and San Francisco. But others — especially small “Mom and Pop” eateries — continually struggle to stay competitive in today’s slowly recovering economy. High-quality communication is many times better than any telephone channel. Even a perfectly-trained hostess can’t work their professional magic if the phone connection is bad. Any device with internet connection can become your phone. The cost of all calls is notably low. IP keeps corporate conversations confidential. Additional features: rich media service, voice menu, conference calls, auto dial, etc. Besides that, a business number binds all staff: manager, accountant, marketing specialist, IT and others. Everyone has personal extension phone number. As a restaurant rarely has space for a back office to gather all team members for a work meeting, a conference call is a solution for business maintenance while staying where they usually work. Everybody knows: first impressions are half the battle. Like in any business, a restaurant’s professional look commonly determines clients’ choice. A business phone number is an “icing on the cake.” It’s engaging to have an easy-to-remember number, or even a number presenting the motto of the restaurant or its name. At any restaurant, the staff is generally busiest before and during lunch and dinner. Typically, this is also peak time for incoming calls, as customers phone in to book a table for the upcoming meal. During these peak times, the host may be on the line with another caller or is away from the phone seating customers. The chances are good that many callers will go to voicemail. But they probably won’t leave a message. If a restaurant patron is trying to get a lunch reservation at 1 p.m., it’s already noon, and no one answers the phone at his first restaurant choice, he’s likely to hang up and call the next place on his list. Nobody wins in that situation. The customer ends up booking a table at his second (or third) choice restaurant. And the restaurant that missed the call also missed a revenue opportunity. 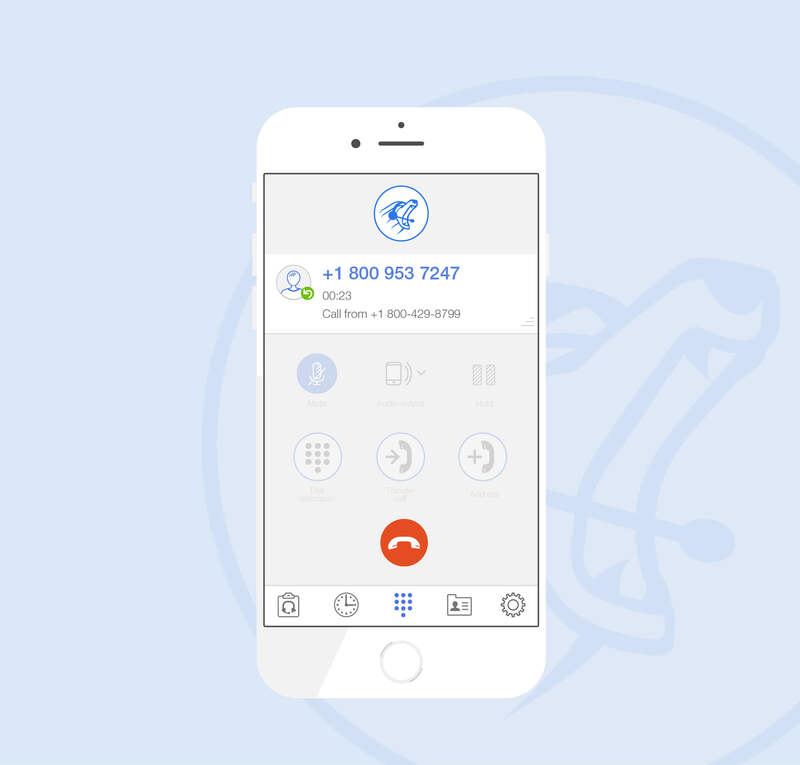 If the restaurant used a cloud contact center software solution, calls could automatically be routed to available team members to avoid sending customers to voicemail. For example, if the reservationist doesn’t pick up the phone after two rings, the call can automatically be routed to another staff member in the restaurant. As the lunch or dinner crowds begin to thin out, customers may update their Facebook or Twitter feeds with comments about their meal. Someone may rave about her pasta dish to Facebook friends — or rant on Twitter about the poor service she received. Either way, it’s important for restaurants to monitor what’s being said about them in real-time and to respond within 20 minutes, if possible. When the comments are positive, you want to share them with your followers quickly and thank the customer for the great feedback. When customers voice complaints on social media, you want to address them immediately, too, to show you’re “listening” and to keep the situation under control. A call center software solution can enable restaurants, or any business, to easily manage multiple communication channels — including phone calls as well as social media posts — and to have the appropriate team member respond right away. Restaurants can also leverage cloud-based contact center software for proactive customer service. For more on that topic, see “Don’t Miss a Reservation Again”, “Learn How Proactive Customer Service Can Produce More Revenue” and “How Small Businesses Can Offer Proactive Customer Service.” Also, check out how Boke Bowl, a ramen noodle house, turned its contact center into a customer experience management tool.